If you’re looking for the best British beaches to add to your summer wish list then you’ve come to the right place! We Brits are often guilty of travelling all over the world in search of white sandy beaches and crystal clear seas while forgetting about the beautiful British beaches we have right on our doorsteps. We dream of exotic locations for beach holidays but today I want to prove that you don’t need to travel far and wide to find a beaut of a beach! The UK is filled with incredible beaches and as an island nation we’re never far from some beauties. Why not opt for a good old fashioned day at the seaside this summer and visit one of the best beaches in the UK. Pack your bucket and spade, fill up on fish and chips and prepare for an adventure. 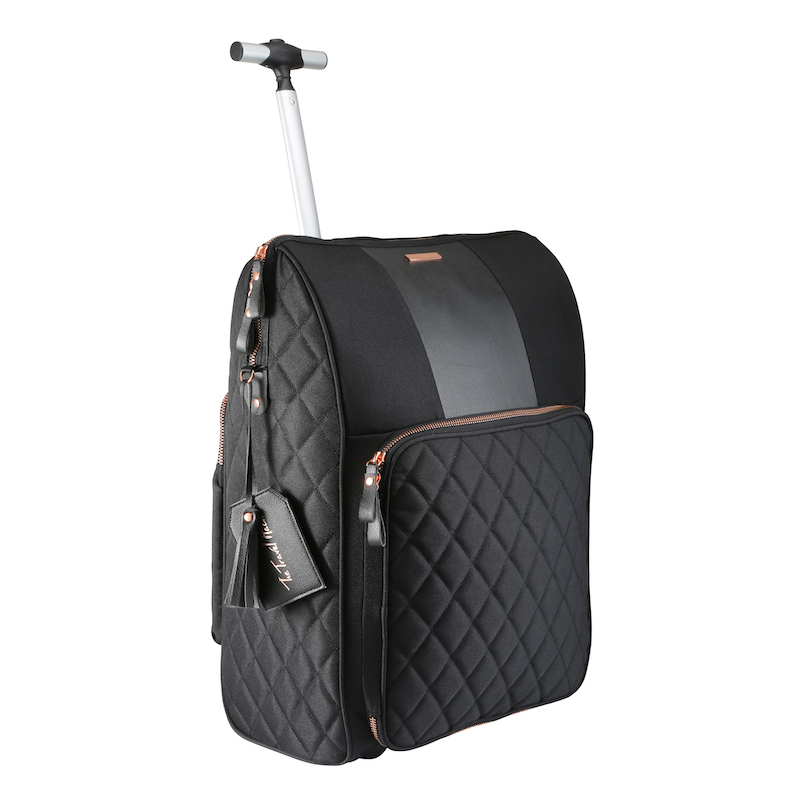 You might want to pack a fleece and a windbreaker too…! 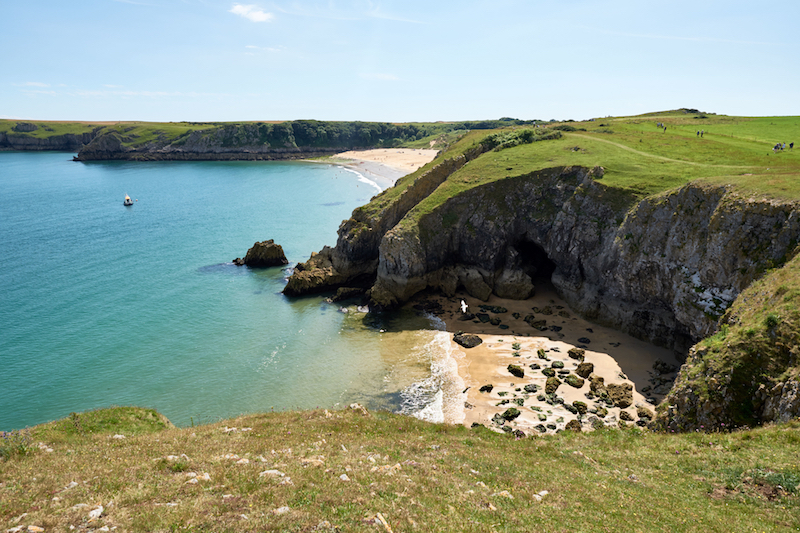 Barafundle Bay Beach on the South Wales coast has been voted as Britain’s Best Beach many times and is often likened to the sandy beaches of the Caribbean. It may not have the Caribbean temperatures but it sure has the sand and crystal clear sea. The small bay is surrounded by sand dunes and pine trees, giving it the perfect shelter on chillier days. The beach is isolated so there’s a short walk to reach it and there are no facilities once you get there. But don’t worry, the isolation only adds to the beauty and means there are fewer crowds to share this slice of British paradise with. This gorgeous beach is a two-mile stretch of golden sand beneath the towering cliffs of Newquay. The beach is popular with surfers and kite flyers thanks to the swells from the Atlantic Ocean and non-surfers will have an equally good time splashing in the waves. During the summer there are many surfing championships and competitions hosted on the beach and they attract crowds from all over the world. Look out for the sand artists who flock to Watergate Bay during the summer months. The sand is perfect for creating everything from traditional sandcastles to enormous palaces to dogs and dragons complete with fire breathing effects. Woolacombe Beach in north Devon was voted the number 1 beach in the UK by TripAdvisor users and it’s also been voted the 13th best beach in the world which is a pretty incredible feat! The three-mile stretch of sand is pure beach perfection with impeccablyclean sand and sparkling water. It’s another favourite with surfers thanks to those rolling, Atlantic waves and it’s quickly becoming an international surfing hotspot. The area around Woolacombe Beach has a laid back, bohemian vibe. There are plenty of places to eat and drink so Woolacombe Beach makes a great place for a family holiday. 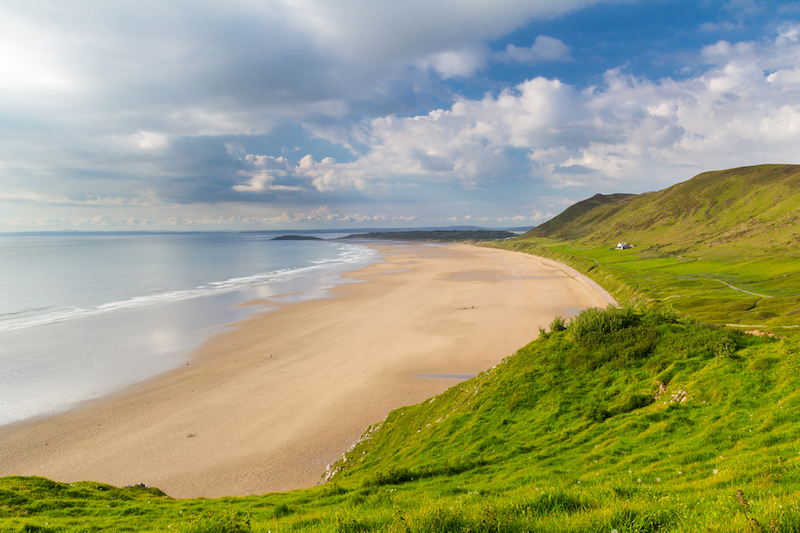 Another award winning British beach in South Wales is Rhossili Bay. Voted as the 9th best beach in the world by TripAdvisor users, Rhossili Bay has often been described as the supermodel of British Beaches. Aside from the golden sand and beautiful sea, Rhossili Bay is also home to a shipwreck which is visible on the beach. At low tide you can see the remains of the Helvetia, a ship wrecked in 1887. There have been lots of archaeological discoveries in the area such as Neolithic burial chambers, bronze age cairns and Iron Age forts meaning there’s lots to keep you busy if the British weather isn’t cooperating with your beach holiday. This dramatic Bournemouth beach is a mixture of sand and shingle beneath a 30 meter cliff that towers above and protects the beach from the winds. 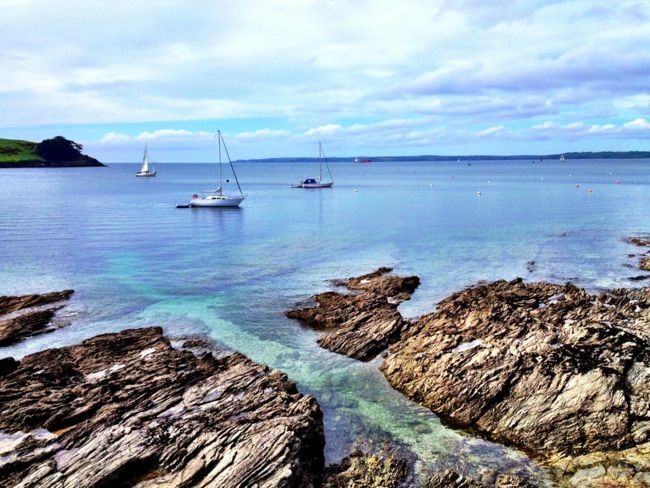 It’s a quiet beach perfect for walking, relaxing and simply inhaling that fresh sea air. It isn’t a bucket and spade and ice cream van kind of beach but the peace and tranquillity more than makes up for the lack of facilities. The area around the beach is also thought to be home to one of Britain’s first Iron Age communities so look out for the important ancient monuments. This beautifully long sandy beach is popular with families, making it a traditional seaside holiday destination. This is the place for Mr Whippy ice creams, bucket and spades, sandcastle competitions and icy cold water that you’re determined to swim in. But let’s not forget the most impressive thing about this beach and that’s the incredible Bamburgh Castle overlooking the sands. It doesn’t get much more impressive when it comes to beach backdrops! For an added bonus while you’re in Northumberland, you can also visit the nearby Farne Islands, a beautiful sea bird sanctuary with over 100,000 pairs of mating birds. This is a special one on the list for me because it’s not far from my home and I spent many summers camping in Abersoch with my friends. The beautiful beach is a long stretch of golden sand and colourful beach huts surround the bay. I actually have a collection of photos taken on an old disposable camera when I was about 16. Half of them were taken with my friends in Abersoch and the other half are taken during our first holiday to Spain together and you really can’t tell which photos were taken where! The village of Abersoch is just as much of an attraction as the beach itself as there are lots of bars and restaurants and plenty to do. 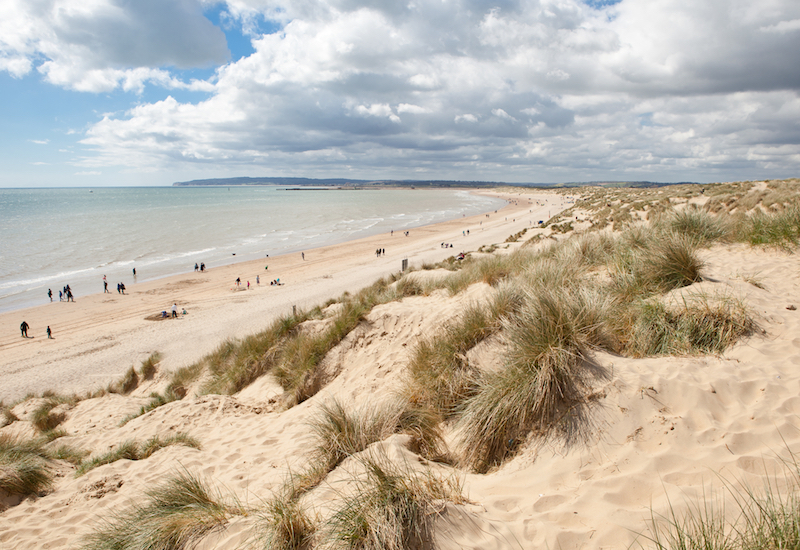 Camber Sands Beach in East Sussex is famous for its soft, golden sand dunes that get bigger and bigger each year. The area is a Site of Nature Conservation Importance thanks to the dunes and the special scientific interest in the area. It’s the perfect place for long walks and soaking up the sun but it’s also popular for flying kites, kite surfing, kite boarding and kite buggying. Camber Sands Beach has been used as a filming location for many films, including The Theory of Everything starring Eddie Redmayne in the story of Stephen Hawkins’ life. The thing that really makes Botany Bay in Kent stand out from the crowd are those incredible chalk cliffs. The beautiful chalk stacks and golden sands make it one of the most photographed bays in the UK and a popular spot with families. The beach has a Blue Flag Award thanks to the perfectly clear sea which is a great place for swimming. There are seasonal life guards and when the tide goes out there are warm rock pools where you can hunt for fossils and crabs. Prepare to be windswept in the winter but Botany Bay is worth a visit at any time of year thanks to the dramatic scenery. Last, but by no means least, is Compton Bay on the Isle of White. This two miles beach is thought to be one of the Isle of White’s best kept secrets as it’s still a fairly quiet beach. The golden sands are backed by multi-coloured sandstone cliffs. The sea is usually filled with rolling waves and in the distance you can see the white cliffs of Freshwater. It’s a popular spot for surfers and body boarders and if you’re here to sunbathe it’s recommended you bring a windbreaker. Dinosaur fossils have been found on the beach and it’s possible to book tours to see the dinosaur footprints in the sandstone ledge. Which of these British beaches would you most like to visit? The Isle of White is so underrated! They all look awesome! Barafundle Bay for me looks really cool, Pembrokeshire is definitely on my travel list. I had no idea! Thank you for sharing this side of UK. I live in Miami where we have beautiful beaches but I intend to visit London again this summer but with plans to also visit other cities. Was considering Brighton (that has a beach) but moreso have longed to visit Sussex and stay in a cottage or bed and breakfast. 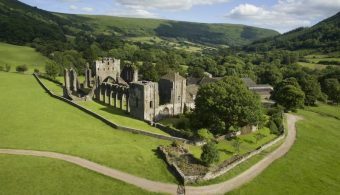 English countryside with green fields, flowers, horses, old castles, barns…yes that’s the goal for this summer.